This entry was posted in London, News, ParkJockey, Press and tagged National Car Parks, NCP, parking, parkjockey, UK on October 16, 2014 by ParkJockey Team. 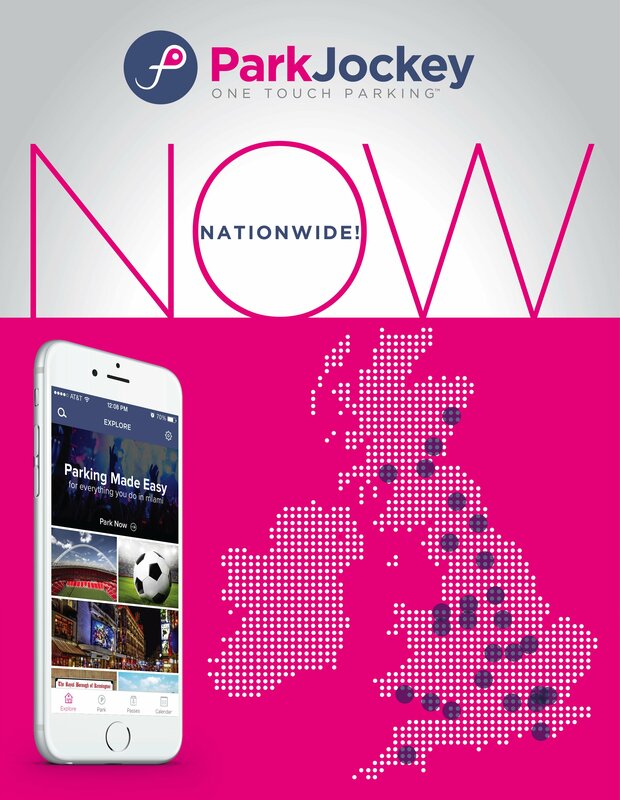 ParkJockey is now live across the United Kingdom! 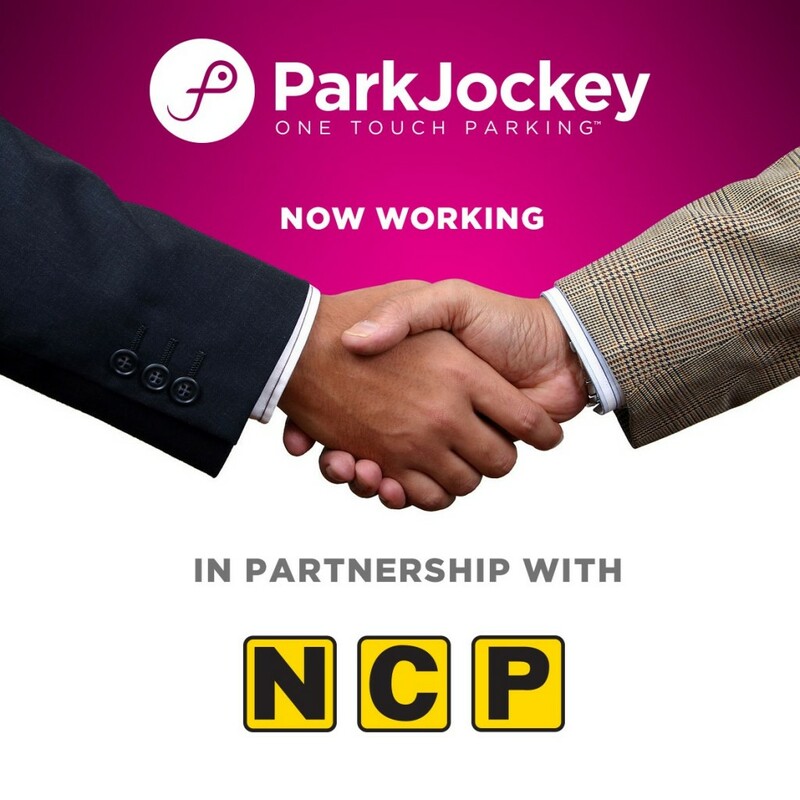 ParkJockey is now fully integrated within the largest parking operator of the U.K., National Car Parks (NCP), nationwide along with a whole host of other car park operators, spreading across 23 major cities. This expansion gives you as a ParkJockey driver more parking options, in more places, at all times. Major entertainment venues along with shopping quarters are covered in each of the cities, providing you with the ability to pre-book parking in advance to avoid wasteful circling. Here is a full list of cities that ParkJockey are live in; Aberdeen, Birmingham, Bolton, Brighton, Bristol, Cardiff, Cheltenham, Chester, Croydon, Derby, Dundee, Kingston, Leeds, Liverpool, Manchester, Newark, Newcastle, Newport, Nottingham, Reading, Stockport, Swansea & Truro. ParkJockey brings you hassle-free parking for any occasion! ParkJockey is moving at a fast pace, so keep an eye out in the next couple weeks as we are launching newest version of our mobile app, further expanding in the UK, and much more! This entry was posted in London, News, ParkJockey, Press and tagged BPA, British Parking Association, National Car Parks, National Parking, NCP, parking, ParkJockey UK, UK Launch on October 16, 2014 by ParkJockey Team. ParkJockey UK are proud to be featured in the NimbusNinety blog, prior to their semi-annual conference and inaugural Ignite awards, which will take place on the 4-5th of November, in London. Igal Aciman, our Global Head of Sales & Marketing, has been invited to speak at the conference, to give an insight into ParkJockey in relation to ‘Customer-centric Digital Disruption in a Traditional Industry’. Read the full article here, featuring an interview with Kamal Rajput (Head of Operations, UK) and Igal Aciman. This entry was posted in London, News, ParkJockey, Press and tagged Disruptive Technology, Igal Aciman, IgniteAwards2014, Kamal Rajput, mobile app, NimbusNinety, startup life on October 10, 2014 by ParkJockey Team. Miami’s creative culture is catching the eye of many investment firms and start-up accelerators. A recent article by Nancy Dahlberg in the Miami Herald reiterates the exciting new prospects of South Florida and the reasons for which Miami is becoming a new tech ecosystem, with a big nod to ParkJockey. “All the elements are here,” speaks Brad Harrison, a New York Venture capitalist. It’s position as the gateway to Latin America and a growing ecosystem of talented entrepreneurs show that there is an abundance of potential for finding the next best thing in Miami. 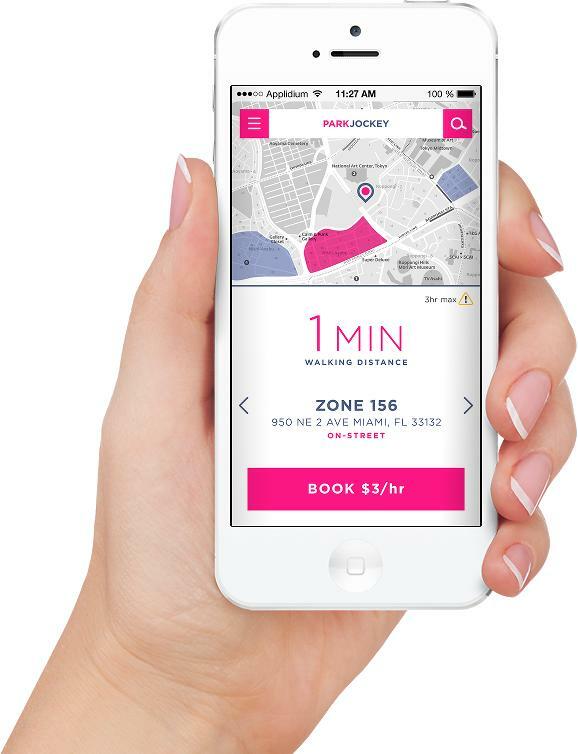 As ParkJockey, we are proud to be part of the thriving Miami start-up ecosystem. To read full article on The Miami Herald, click here. This entry was posted in Miami, News, ParkJockey, Press and tagged Miami, Miami Herald, Nancy Dahlberg, parking, parkjockey, press, startup, Thesis, Venture Capital on October 8, 2014 by ParkJockey Team. Don’t Let Parking Drive You Crazy !!! Getting parking tickets can be very stressful business. It makes you wonder just how far people will go to avoid a parking ticket. One San Francisco woman went 12 blocks. With a traffic cop on the hood of her car! The Huffington Post reports that Bo Mounsombath, 33, was trying to get out of a parking citation by swiping a ticket from another car and placing it on her own. Obviously, that old trick wasn’t slick enough to get by San Francisco’s finest, and while a traffic officer was writing her a ticket, Ms. Mounsombath hit the gas and took the officer for a half mile ride on the hood of her car. Usually, parking tickets are only a petty, albeit expensive, nuisance. However, you never can tell when your morning can shift gears from facing a $50 fine to facing charges of assault with a deadly weapon. Don’t push your luck and don’t let parking tickets drive you insane. Keep your cool and book your parking space ahead of time with ParkJockey. This entry was posted in Chicago, London, Miami, New York, News, ParkJockey and tagged parking tickets, parkjockey, police, San Francisco, stress on October 1, 2014 by ParkJockey Team. CHICAGO ─ September 15, 2014 ─ ParkJockey, developers of the “One-Touch Parking™” solution, announces its time-saving and eco-friendly parking locator and reservation tool is now available in Chicago. The no-cost mobile application drastically reduces the time spent searching for a parking spot by providing parking locations, estimates walking distances and even learns your parking-specific preferences so users can make an informed and smart parking reservation, pay for it in advance, and seamlessly sync their reservation with their calendar. At launch, ParkJockey’s application included access and reservation capabilities for more than 6,000 parking spaces in Chicago and this number is expected to grow exponentially by the end of the year. One-Touch parking™ solution predicts the optimal parking space based on your preferences and external factors such as the weather. One-Touch reservations from website or through the application. Saves time and fuel spent driving around searching for parking. Integrates / seamlessly syncs with your Facebook or personal calendar. Access to ParkJockey’s round-the-clock local customer service support. No payment worries; ParkJockey provides a cashless experience. Application learns your parking preferences such as valet versus self-park. ParkJockey Loyalty Rewards Program – one point is given for every dollar spent on daily parking and the user receives a $5 off parking discount once they accumulate 500 points. Increase revenue potential by tapping into ParkJockey as a sales channel. Optimize capacity utilization with full online control to modify your capacity and parking tariffs. Collaborate with traffic generating venues – your parking operation will be exposed to events, venues and companies in your area to drive reservations and sales to your location. Web-based solution provides real-time operational information and analytics. No monthly fees, no sign up fees, no credit card fees, and no commitment. ParkJockey is led by a team of experienced technology entrepreneurs, management consultants and parking specialists. ParkJockey has unrivalled expertise in the industry and is available in London, Miami and New York. A rapid expansion program is in place and will include Amsterdam, Istanbul, Los Angeles, Paris and San Francisco by end of the year. ParkJockey is a no-cost mobile application, website and parking rewards program that helps users easily find and reserve parking, in advance or on-the-go. ParkJockey removes the stress out of locating parking, comparing prices and confirming availability for an easy park and go option for today’s busy commuter. ParkJockey is a member of the US National Parking Association and has been recognized in the UK for “Innovation in Consumer Experience”. For more information, visit ParkJockey.com. ParkJockey is available for download from the iTunes® App Store and the Google Play™ store app. iTunes is a registered trademark of Apple Inc. This entry was posted in Chicago, News, ParkJockey, Press and tagged Chicago, Driving, James Weiss, mobile app, parking, press release, Umut Tekin on September 15, 2014 by ParkJockey Team. 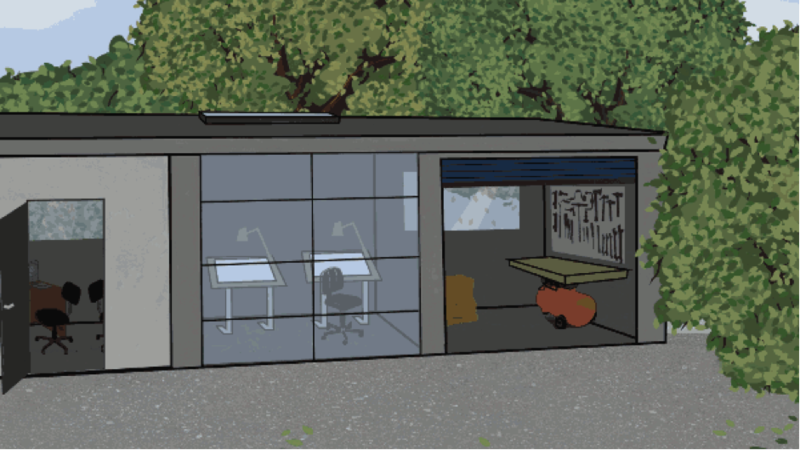 Garages: The useless, the useful, the crazy! In the UK, a study in 2006 showed that the majority of car garages were used not to store their cars, but for storing household items etc. Quoted figures from the RAC Foundation, found that while 53 per cent of households had access to a garage, only 24 per cent used them and claimed many garages were “not being used for their proper purpose.” Back then, this astonished a group of MPs who wanted people to make the most of their garage. They proposed an introduction to a paid permit for space, just to ease on-street parking problems – which didn’t go down too well! 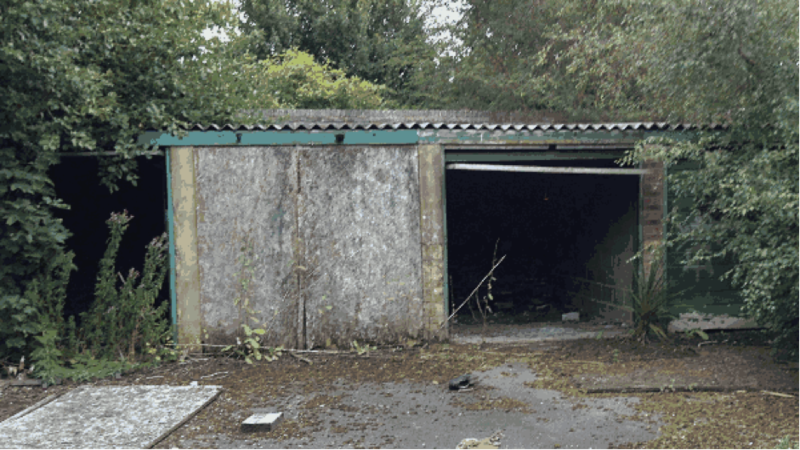 In London, it is claimed that there are over 3,000 unused car garages. Boris Johnson, Mayor of London, recently back in Feb 2014 wanted to spark a garage business revolution in London, by helping start-up companies find space to begin their adventure in central locations. Now it’s flourishing, with many start-up companies taking advantage of the affordable rent in order to become the best next thing, similarly to the likes of Apple & Disney etc. So in the UK garages are not getting used for their ultimate purpose. In Singapore they’ve taken it to the a whole other level, literally. Try having your car as one of the centre pieces to your home – for aesthetics, rather than function. Hamilton estates in Singapore have found a novel and technically advance way for their tenants to keep an eye on, or show off their prize procession cars, they can keep them right outside their windows. This may sound normal, but not when you window is 10 floors up! Take a look for yourselves. This entry was posted in London, News, ParkJockey and tagged Boris Johnson, Garages, Hamilton Estates, Mayor of London, Singapore, Start up on August 28, 2014 by ParkJockey Team. 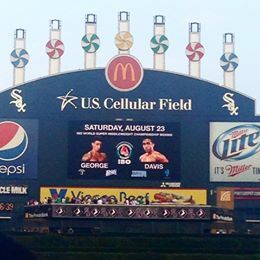 World class professional boxing is returning to US Cellular Field, home of the Chicago White Sox August 23, 2014, starting at 6:00 PM. Local fight promoters, Hitz Boxing and Round 3 Productions signed on to stage this event at the South Side stadium. Last year’s event attracted 8,200 fans for the first outdoor boxing match in over a century. The fights marked the first outdoor boxing event since 1962 at Comiskey Park when Sonny Liston knocked out Floyd Patterson to win the World’s heavyweight title. This time around, Chicago’s own Donovan “Don Da Bomb” George (25-4-2, 22 Kos) will be fighting for the Super Middleweight World Title against Dyah Davis of Coconut Creek, Florida. Both of the boxing promoters for this event, Bobby Hitz of Hitz Boxing and Frank Mugnolo of Round 3 Productions signed George to their contract. When George won his first Golden Gloves championship it was Bobby Hitz who presented him with his trophy. Hitz Boxing and Round 3 Productions just recently started working together in 2013. Hitz holds the record for longest running boxing promoter in Chicagoland. Two other hometown boxing favorites representing Chicago are Frankie “Time Bomb” Scalise and Mike “Hollywood” Jimenez. The boxing event is presented by B96 and will be hosted by The J Show’s very own J Niice and Showbiz Shelly. If you get to the park early on Saturday B96 will be hosting a live tailgate event for all the fans. If you do not have you tickets you can purchase them here. Once you get your tickets for the event then you can purchase parking with Park Jockey at the McClellan school here! You can also receive $5.00 off by using the promo code BOX14. This entry was posted in Chicago, News, ParkJockey and tagged Boxing, Chicago, Chicago White Sox, chicagoland, Park Jockey, parking, US Cellular Field, White Sox on August 21, 2014 by ParkJockey Team. 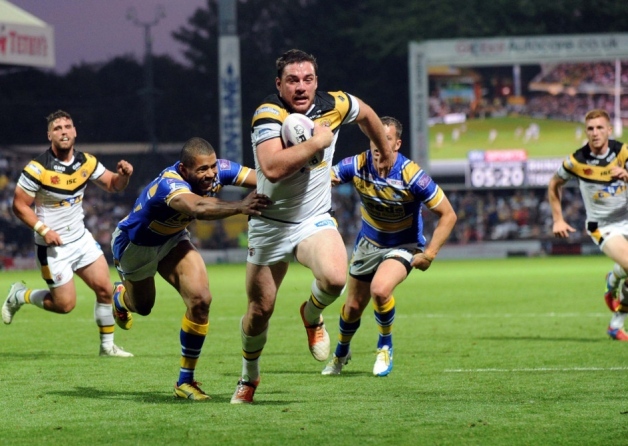 The (Leeds) Rhinos take on the (Castleford) Tigers, which sounds like a battle in the making by itself. However, being only a mere 35 minutes drive away from each other it makes the game little more than just a battle, but more of a toe-to-toe, eye-to-eye, shoulder-to-shoulder duel! The Rhinos are favourites but having not won in their last 6 Challenge Cup Final appearances, The Tigers are looking to pounce and make history of their own, on their Wembley and Challenge Cup Final debut. Already 70,000 tickets have been sold which means the Wembley area is going to be jam-packed. If you are driving and need somewhere to park for the game, you can grab your discount and pre-book with ParkJockey and get up to 20% off, so you aren’t left circling. We also have car parks conveniently located just a stone throw away from the stadium. Click here, choose your car park and use the code RHINOS20 or TIGERS20 at the checkout for your 20% discount to be applied. This entry was posted in London, News, ParkJockey and tagged Castleford Tigers, Challenge Cup Final, Leeds Rhinos, Rugby League, Wembley Stadium on August 14, 2014 by ParkJockey Team. 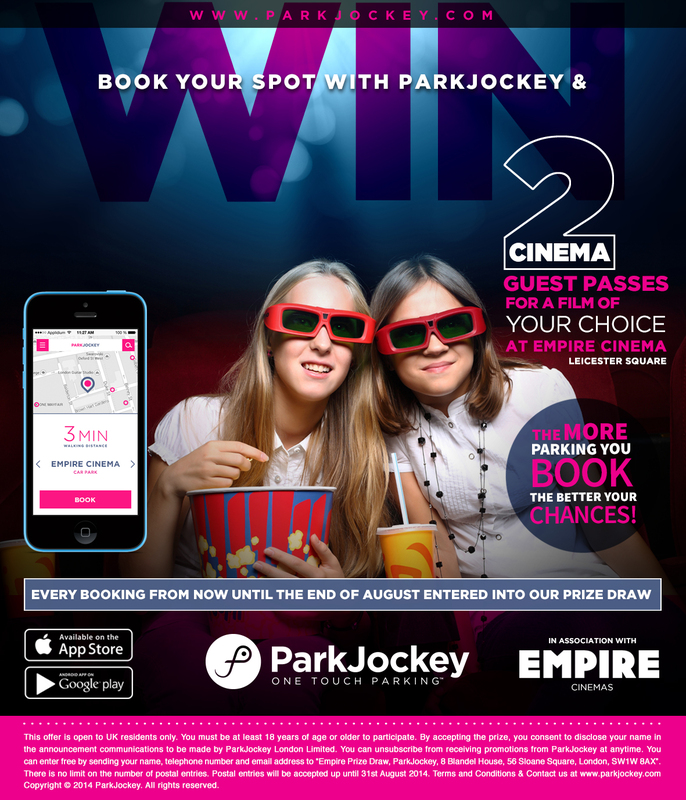 Win 2 Cinema Guest Passes with ParkJockey! Last time we gave you ‘Les Miserables,‘ this time we are giving away ‘2 X Cinema Guest Passes’ for a film of your choice at the Empire Cinema, Leicester Square. The winner could be you, all you have to do is book with us or enter free by sending us your name, address & telephone number to our address, from now until the end of August 2014. Good luck! This entry was posted in London, News, ParkJockey and tagged Cinema, Cinema Tickets, Competition, Empire Cinema, Leicester Square on August 13, 2014 by ParkJockey Team.